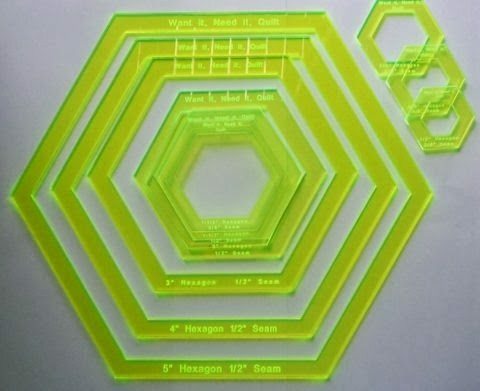 I have just received a shipment of the Holy Peeper templates for Hexagons, Lucy Boston, Ferris Wheel and Rose Star. These templates, first designed by Dave and Kim Bradley, make it so easy to fussy cut and mark your EPP pieces. « When is a Blue not a Blue? Holy peeper is such a fun description for these templates. I love my hexi template, I sometimes think I should get a spare or two in case I lose it.